EQ is considered five times the performance indicator in the workplace vs. IQ. Do you have these components? Do you have this type of physical awareness regarding your emotions? 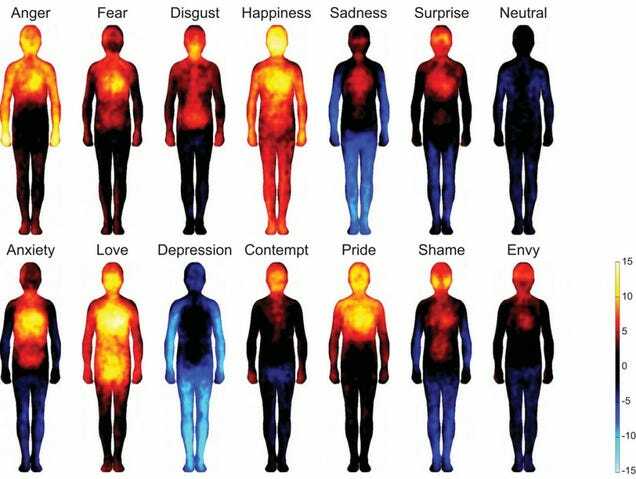 Graphic: Heat mapping shows where we feel emotions in the body. Components Needed for Emotional Intelligence (all developed on this site) . Effective and Free EI Test What Now? for Information That is More Experimental or 'Cutting Edge' to Increase Emotional Intelligence.